"It will be too long. Joan, therefore, will make two full volumes of the proposed Uniform edition." 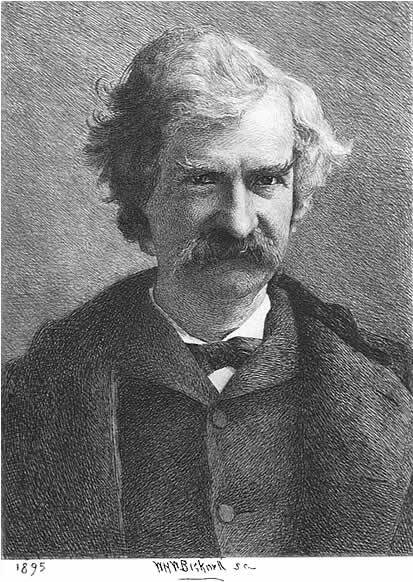 According to his official biographer Albert Bigelow Paine, Samuel Clemens's interest in Joan of Arc was sparked early in life when he was working as a printer's apprentice in Hannibal, Missouri. Paine writes in a chapter titled "The Turning Point"
He was on his way from the office to his home one afternoon when he saw flying along the pavement a square of paper, a leaf from a book. ... He caught the flying scrap and examined it. It was a leaf from some history of Joan of Arc. The "maid" was described in the cage at Rouen, in the fortress, and the two ruffian English soldiers had stolen her clothes. ... there arose within him a deep compassion for the gentle Maid of Orleans, a burning resentment toward her captors, a powerful and indestructible interest in her sad history. It was an interest that would grow steadily for more than half a lifetime and culminate at last in that crowning work, the Recollections, the loveliest story ever told of that martyred girl (Paine, p. 81). Clemens's lifelong admiration for Joan peaked in August 1892 when he began writing his history of her life with a bit of his own fiction added to the story. By that time Joan had become a cult figure in both America and Europe. Clemens later wrote that he based Joan's physical portrait on that of his own daughter Susy. By March 1893 he had written 22 chapters and proposed to end the story at the siege of Orleans. However, when Clemens negotiated with Harper's Magazine to serialize the story, editor Henry Mills Alden persuaded him to extend the story through Joan's trial and execution. Clemens expanded and completed the book in February 1895 while living in Paris. The finished volume totaled over 150,000 words and was divided into three separate sections called "books" made up of 73 numbered chapters and a conclusion. While living in Paris, Clemens also met with American illustrator Frank Vincent Du Mond and arranged for Du Mond to illustrate the work. Harper's Magazine serialized Personal Recollections of Joan of Arc beginning in the April 1895 issue and the series ran for thirteen months, concluding in April 1896. Clemens received $9,382 for the story. Clemens also mandated that the story should run without his name in order for it to be considered a serious work and not a humorous tale. Thus the name Sieur Louis De Conte, identified as Joan's page and secretary, was assigned the authorship for an ancient manuscript with modern day translations provided by a fictitious Jean François Alden. Mark Twain scholars have observed that the name Sieur Louis De Conte featured the same initials SLC as Samuel Langhorne Clemens and that translator Alden was the same surname of editor Henry Mills Alden. Shortly after the magazine publication ended, Harper and Brothers issued the work as a single volume book in May 1896 with Mark Twain's name on the spine and cover. It was one of three books devoted to Joan of Arc that year -- the other two being Francis C. Lowell's Joan of Arc published by Houghton, Mifflin and Company and Margaret Oliphant's Jeanne d'Arc published by G. P. Putnam's Sons. Almost immediately critics and general readers alike began to suspect that no one save Mark Twain could be hiding his features behind a mask supposed to represent the countenance of the Sieur Louis de Conte, page and secretary to the martial maid, and this suspicion changed to certainty when they read the elaborate descriptions of the Paladin's powers of lying and of the Sieur Louis's attempt at a poem to the fair Catherine Boucher (Budd, p. 378). ...has failed, as many another writer has done ere now, to fuse properly the historic and the purely imaginary or fictive elements of his narrative. He has given us a large piece of mosaic work; first we have a slab of history, then a slab of fiction, and so on, with the history predominating over the fiction. ... the fusing process has not taken place, and the history and the fiction are separate, though in juxtaposition (Budd, pp. 378-79). Frank Vincent Du Mond (b. 1865 - d. 1951) was born in Rochester, New York. His father was a hardware merchant and partner of an ornamental iron manufacturer in Rochester. In 1884 he went to New York and attended the Art Students League studying under James Carroll Beckwith and William Sartain. He got a job as a newspaper illustrator with The Daily Graphic which provided a springboard to work with Harper's Weekly. Between 1888 and 1900 he studied art in Paris at the Julian Academy. He eventually became an instructor at the Art Students League in New York, holding that position for 59 years. Among his notable students was artist Georgia O'Keeffe. Du Mond provided 32 illustrations for the first edition of Personal Recollections of Joan of Arc. Five additional illustrations from other sources also appeared in the 1896 first edition. Du Mond's illustrations were also featured in the Harper's Magazine serialization of the story. In an agreement between Harper and American Publishing Company, dated December 31, 1896, American Publishing Company acquired the rights to include The Personal Recollections of Joan of Arc in their 1899 uniform edition of Mark Twain's works. Under a second agreement dated November 11, 1898 Frank Bliss was allowed to manufacture new printing plates that would immediately become the property of Harper and Brothers. By producing a new set of plates in Hartford, Bliss could save transportation costs and insurance involved in shipping the plates from New York. In order to reconstruct the book in a size that would be uniform in width with other volumes in the set which were shorter in length, Frank Bliss divided Joan of Arc into two separate volumes which became not only Volumes 17 and 18 of the uniform set, but also parts 1 and 2 of the title work itself. Volume 17 concludes with Chapter 27 in the middle of the section known as Book II. Volume 18 begins in the middle of the section known as Book II with Chapter 28. Although Clemens had an opportunity to revise and refine his work for the 1899 uniform edition, there is little evidence to suggest he took an active interest in doing so. No scholarly comparison of the 1899 uniform edition to the original magazine serialization or Harper's first edition of the book has been conducted. Production of the new 1899 plates also had the potential to introduce inconsistencies into the texts that were the result of typesetting errors. Frank Bliss intended to correct any errors for subsequent printings and hired Forrest Morgan (b. 1852 - d. 1924), a fastidious proofreader, to weed out errors. Morgan, a former editor of the Hartford Travelers Record and later an assistant librarian at Watkinson Library in Hartford, read from a set of the Royal Edition to mark errors. Clemens was familiar with the work of Forrest Morgan in Travelers Record. When Clemens wrote "Stirring Times in Austria" in 1897 he quoted from a long passage he credited to Morgan to describe the history of disunity in the Austro-Hungarian empire. "Stirring Times in Austria" was published in Harper's Monthly in March 1898 and is reprinted in Volume 22. Morgan's 22-volume set of the Royal Edition with his annotations is in the Beinecke Rare Book and Manuscript Library at Yale University, a gift from William Lyon Phelps in 1922. No extensive study of Morgan's notes for Joan of Arc has been conducted. 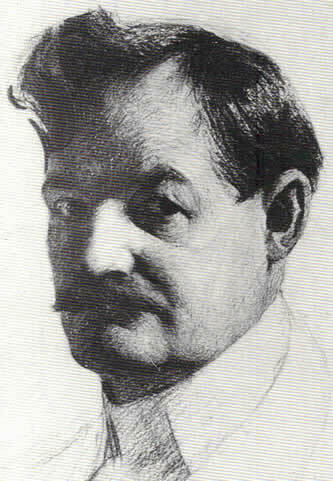 Forrest Morgan, proofreader for the 1899 uniform edition, helped refine the works for subsequent editions. Frank Bliss hired new illustrators for the 1899 uniform edition. Artist and etcher William Harry Warren Bicknell (b. 1860 - d. 1947) was born in Boston, Massachusetts, the son of a grocer. Bicknell graduated from the Boston Latin School in 1878 and later studied at the Boston Museum of Fine Arts. He was a pupil of Otto Grundmann and Frederic Crowningshield. Bicknell etched a number of frontispieces made from photographs of Clemens that were used throughout the set. Bicknell's etching of the Tiffany monogram appears as a title page in every volume of the Autograph Edition, Edition De Luxe, Japan Edition, Author's De Luxe Edition, and the Royal Edition. All of these editions began issuing in 1899. Less expensive editions such as Underwood, Riverdale, and Hillcrest feature the Tiffany title page in Volume 1 only. It was eliminated altogether from the Author's National Edition. 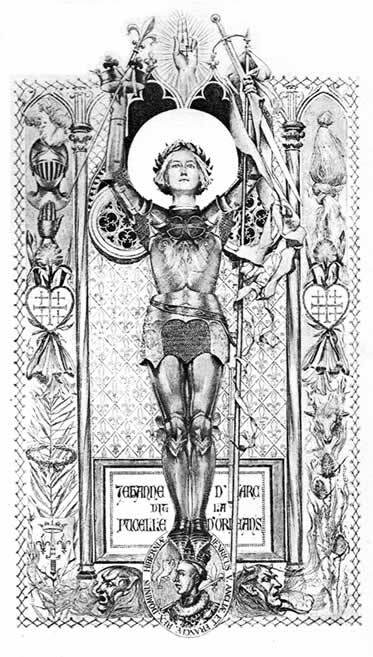 Frank Bliss used only six of Frank Du Mond's original 32 full-page illustrations in the 1899 uniform editions of Personal Recollections of Joan of Arc. Du Mond's illustration titled "The Maid of Orleans" appears as the frontispiece of Volume 18. Evidence suggests that Clemens was not completely satisfied with the way Frank Du Mond represented Joan of Arc. Many of Du Mond's illustrations are dark, murky, and picture Joan as an unattractive matronly-looking figure. This may explain, in part, why the illustrations that Frank Bliss chose to retain in the 1899 uniform edition are those that were some of Du Mond's more attractive representations. How strange it is!--that almost invariably the artist remembers only one detail -- one minor and meaningless detail of the personality of Joan of Arc: to wit, that she was a peasant girl -- and forgets all the rest; and so he paints her as a strapping middleaged fishwoman, with costume to match, and in her face the spirituality of a ham. He is slave to his one idea, and forgets to observe that the supremely great souls are never lodged in gross bodies. ... The artist should paint her spirit -- then he could not fail to paint her body aright. She would rise before us, then, a vision to win us, not repel: a lithe young slender figure, instinct with "the unbought grace of youth," dear and bonny and lovable, the face beautiful, and transfigured with the light of that lustrous intellect and the fires of that unquenchable spirit (Twain, 1904, p. 12). ... merely because she is a girl he cannot see the divinity in her, and so he paints a peasant, a course and lubberly figure -- the figure of a cotton bale, and he clothes that in the coarsest raiment of the peasant region -- just like a fish woman, her hair cropped like that of a Russian peasant, and that face of hers, which should be beautiful and which should radiate all the glories which are in the spirit and in her heart -- that expression in that face is always just the fixed expression of a ham (Fatout, p. 473). Du Mond's more unattractive illustrations of Joan of Arc slowly faded from public view and would not be available until Oxford University Press published a facsimile of the first edition in 1996. The following are the original full-page illustrations that first appeared in the 1899 Autograph Edition, Edition De Luxe, Japan Edition, Author's De Luxe Edition, and the Royal Edition issued by American Publishing Company. As other editions were developed and prices were lowered, Du Mond's 6 illustrations were retained but Bicknell's frontispiece and title pages were eliminated. Budd, Louis J. Mark Twain: The Contemporary Reviews. (Cambridge University Press, 1999). Emerson, Everett. Mark Twain: A Literary Life. (University of Pennsylvania Press, 2000). Fatout, Paul, ed. Mark Twain Speaking. (University of Iowa Press, 1978). "Frank Dumond, 86, Painter, Teacher," The New York Times, 7 February 1951, p. 29. Harmony of Nature: The Art and Life of Frank Vincent DuMond, 1865-1951. (Lyme Historical Society, 1990). Maik, Thomas A. A Reexamination of Mark Twain's Joan of Arc. (Edwin Mellen Press, 1992). Paine, Albert Bigelow. Mark Twain: A Biography, 4-volume edition. (Harper and Brothers, 1912). Twain, Mark. Personal Recollections of Joan of Arc. Edition De Luxe. (American Publishing Company, 1899). _____. Personal Recollections of Joan of Arc. (Oxford University Press, 1996). _____. "Saint Joan of Arc," Harper's Monthly Magazine, December 1904, pp. 2-12.